OMNET++ is a discrete event network simulator coded with C++ language and ensures high modular well structured network simulation tool. OMNET++ referred as objective modular Network Testbed in C++. 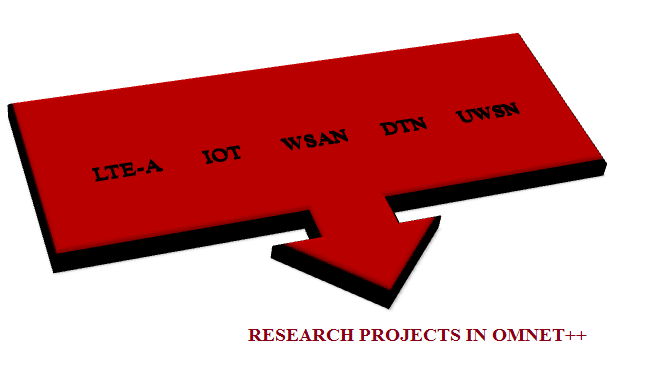 We offer Research in OMNET++ to carryout various researches in network and algorithm for research scholars. We process OMNET++ with command line interface and graphical user Interface. OMNET++ ensures to provide hardware architecture validation. We support OMNET++ based research with hardware distributed system, multiprocessors and OpenFlow networks. We implement OMNET++ composed of hierarchical nested models and every module communicated by transferring messages to each other. Every model in OMNET ++ related with networks. System module composed of submodules and it has various sub modules. In OMNET++ simulation message are denoted by frames (or) packets with relevant network. Simple Module Implementation by C++ Code. Network Descriptor Language Topology Descriptions. Parallel and Large Scale Simulation. Support for Various Hierarchical Modules. By this framework we provide general function required in OMNET++ simulation. Function such as mobility, connection management and wireless channel model. By this library we provide operation function for rich standard protocols with mobility models. By OMNET++ we can ensure connection among basic framework and protocol library. We implement NOC which ensures optimized topology, traffic switching, congestion control and Routing mechanisms. We provide NOC based research to design new architecture and techniques. We implement NOC ideas by OMNET++ simulator. OMNET Offer NOC with favorable traceability and debugging mode to decrease debugs time. We provided and deployed Software Defined Network in more than 90+ projects as global network to separate control and data plane. We use data plane to process and deliver packets based on states in Routers and endpoint. We use control plane to establish router state and find packet location to process forwarding. Control layer: We implement centralized control plane in control layer to decouple physical infrastructure from centralized global view. 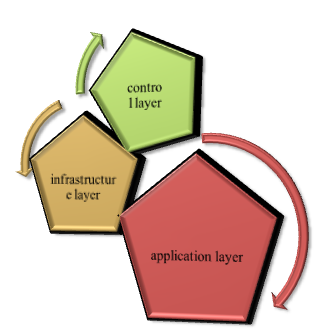 Application Layer: We provide network services and applications to ensure interaction with control layer. Infrastructure Layer: It composed of physical and virtual network devices like routers and switches. Openflow Protocol: We implement an application interface called openflow which offer standard interface for various programming data plane switches. We provide openflow protocol to control switch (or) router forwarding table which adopted a concept from ACM papers. We deploy open flow protocol on Ethernet switches to permit forward plane. OpenFlow protocol ensures routers and switches to direct traffic by software based access.